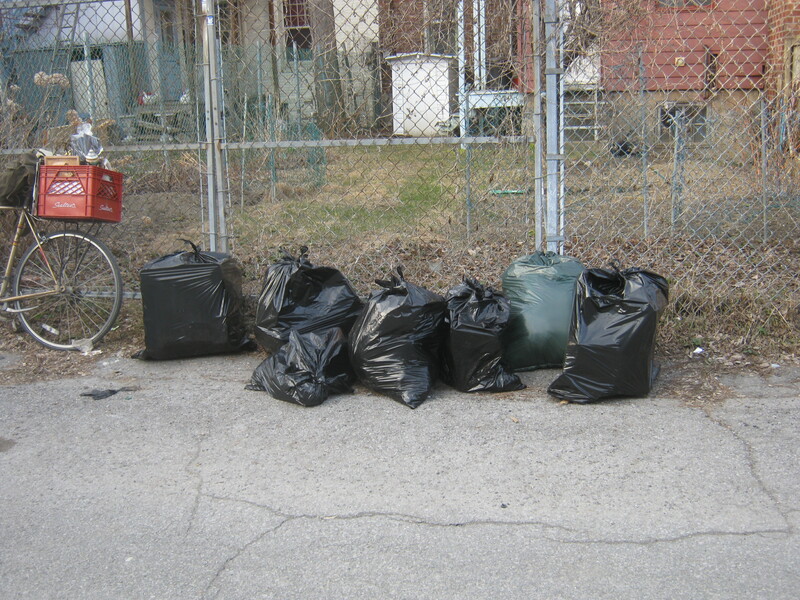 Today was the warmest day of the year so far and a great day for trash picking! I forgot how nice it was to be able to move around easily and not have to wear all kinds of gear just to keep from freezing to death. It’s going to be a good summer. I found this first pile of trash on de Gaspe. 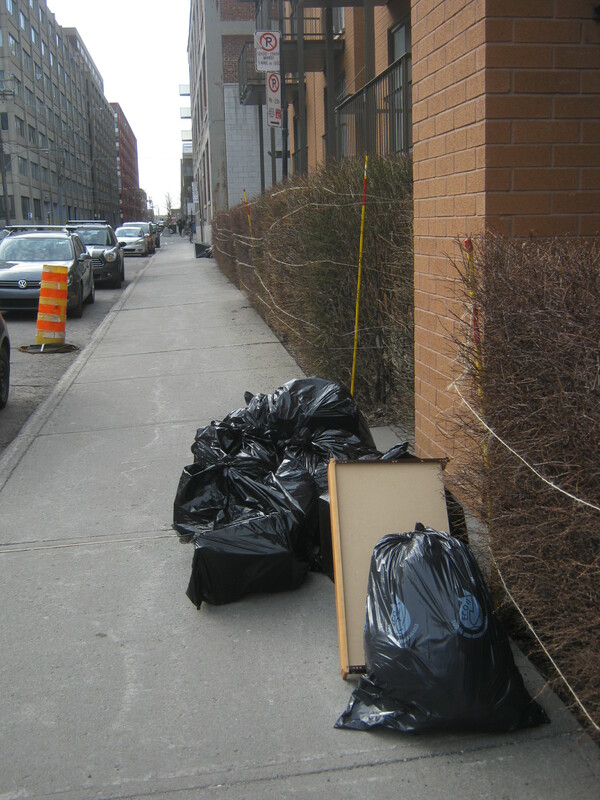 It looked like the trash of a woman who was quite well-to-do, which makes sense as it was near a newer condo development. There were lots of expensive-looking shoes which I took out of the bags and left for others to see. In the few minutes I stood nearby as I prepared to leave I saw a few different people checking them out. Hopefully someone took them! I took a few things myself. 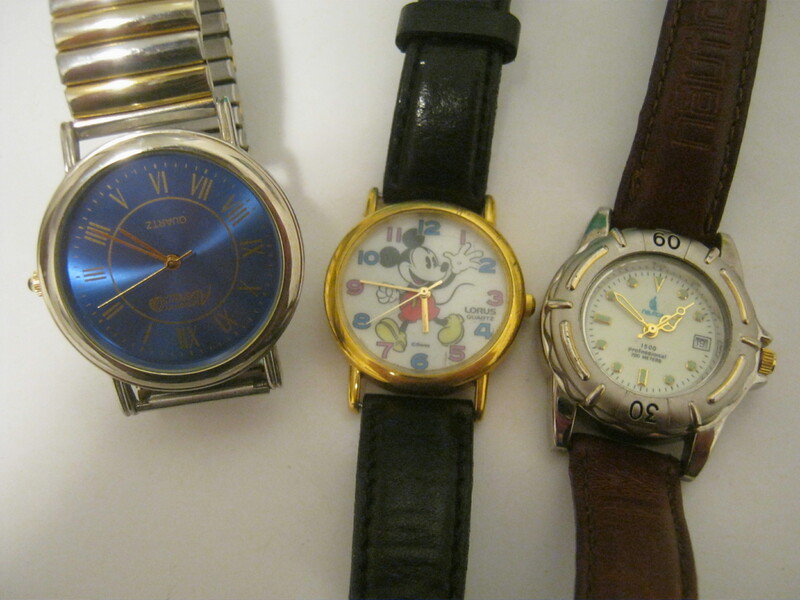 There was a bit of jewelry, including these three watches. I might be able to get a little bit of money for the one on the right – a Nautica that’s supposedly safe to use under 200 metres of water. 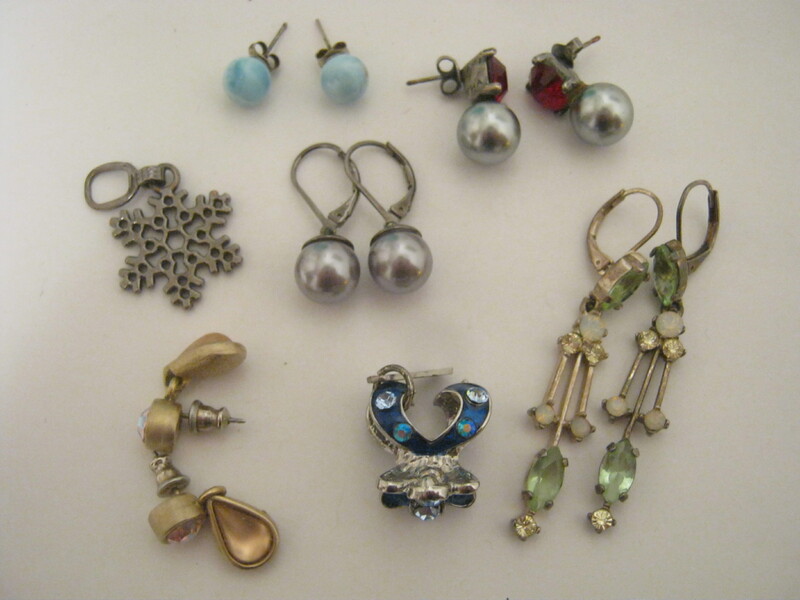 Some of this jewelry is sterling silver (the blue earrings in the first picture and the three pieces on the left in the second). 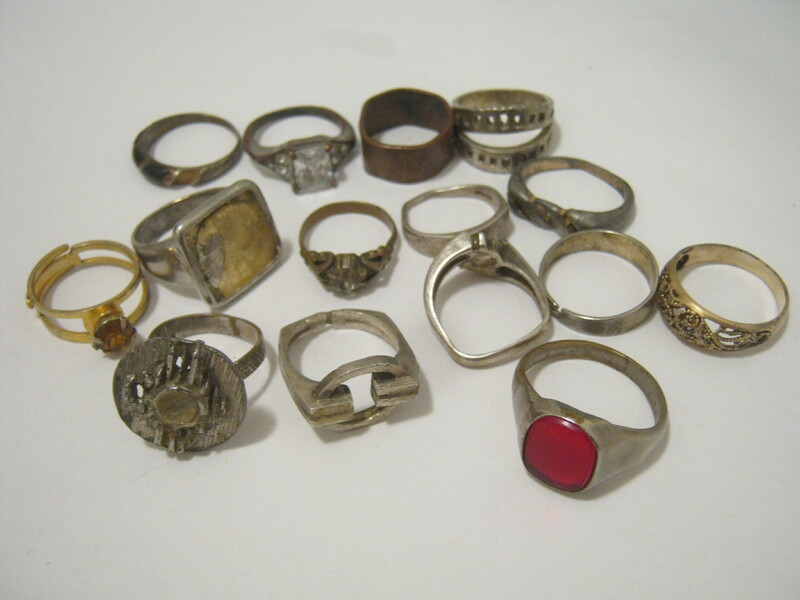 Much of the rest is marked “Agatha.” I might be able to get some decent money for a few of these things, particularly the silver ring in the second picture. This is the same place I found the pillowcase full of jewelry a couple of weeks ago. 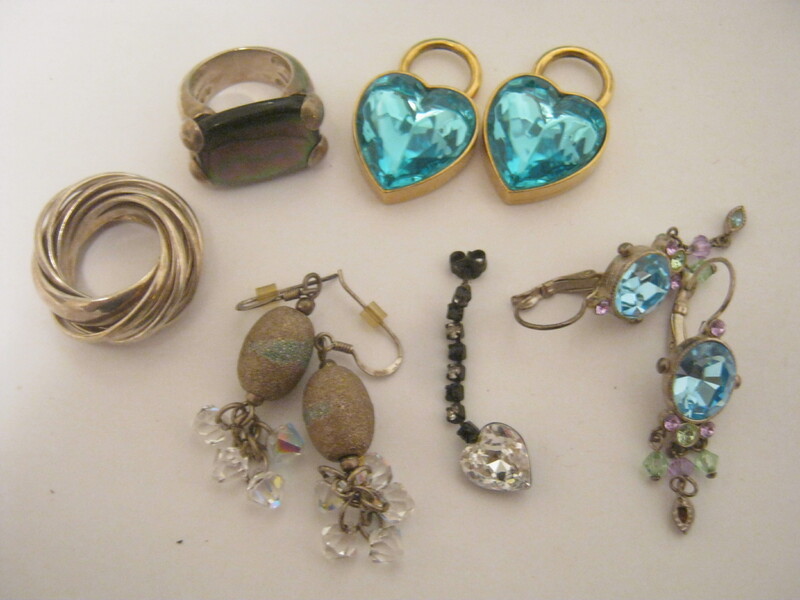 Today I found a change-purse with a bunch of rings in it. Some of these are sterling silver as well – I should be able to sell them on my Etsy store. A bunch of them are mostly scrap, being bent-up or missing stones. They smell less like smoke than the other stuff, but I’ll still have to clean them before I can make any sales. 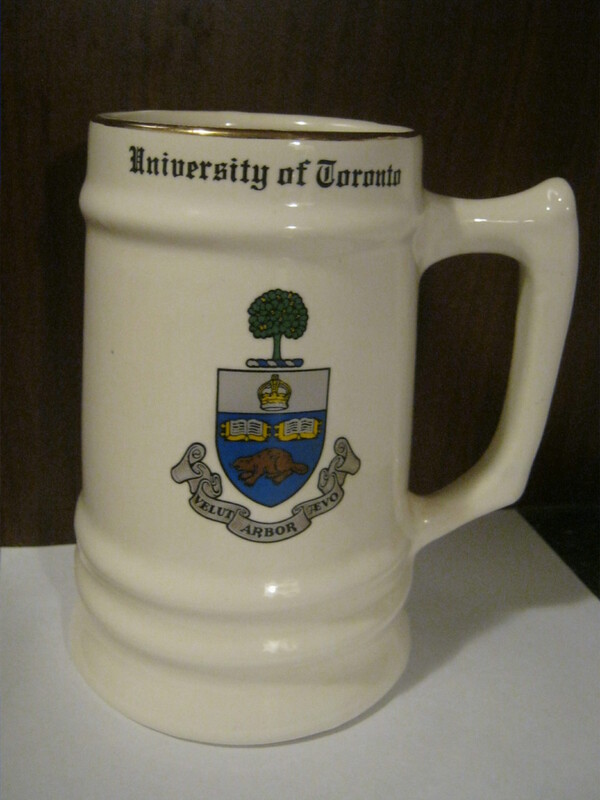 There was also this University of Toronto beer stein. It’s in fantastic shape. It was inside a grocery bag with some other less appealing stuff but it cleaned up great. The bottom indicates that it’s plated with 22k gold and made in Canada. I think it’s an older piece and definitely pretty cool. 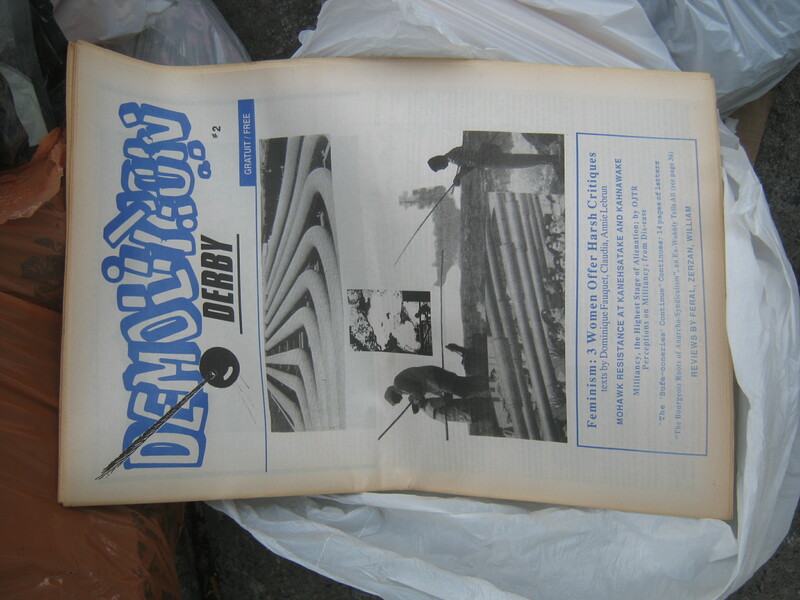 I came across a pile of stuff with a few clear bags full of these old “Demolition Derby” papers. They look like feminist literature that came out of late 80s Montreal. I took three of them. Finally, these bags contained a bunch of spring cleaning casualties. There were old self-recorded VCR tapes, cassettes, 5.25 inch floppies, shoes, clothes, and a few books focussed on learning how to write novels. 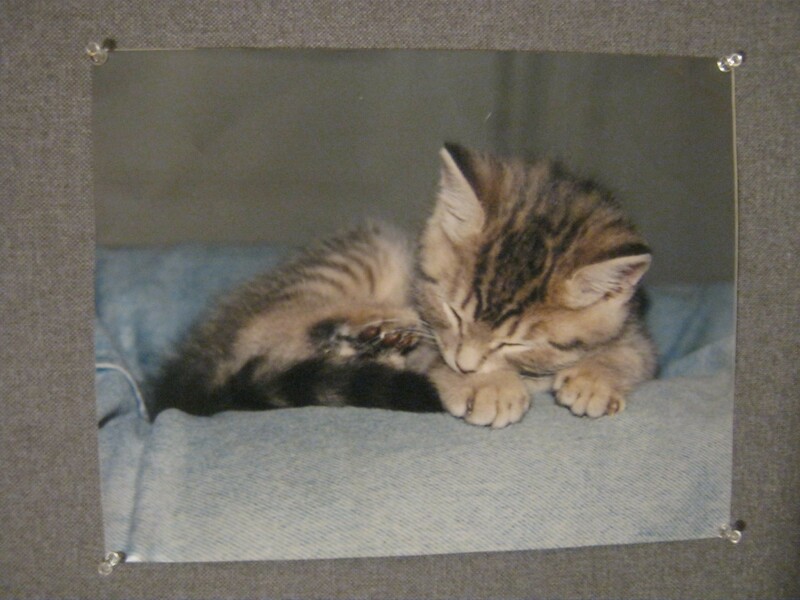 The only thing I ended up taking was this enlarged photo of a cat, which is undeniably cute and a seemingly good companion for this dog picture I found here. I think I found about as much interesting stuff in my afternoon today than I did all last week. Spring cleaning has officially arrived, and I’ll definitely head out tomorrow morning to see what I can find in Hochelaga. That mickey mouse watch is excellent! my friend would really love it. Would you consider selling? or maybe trading? 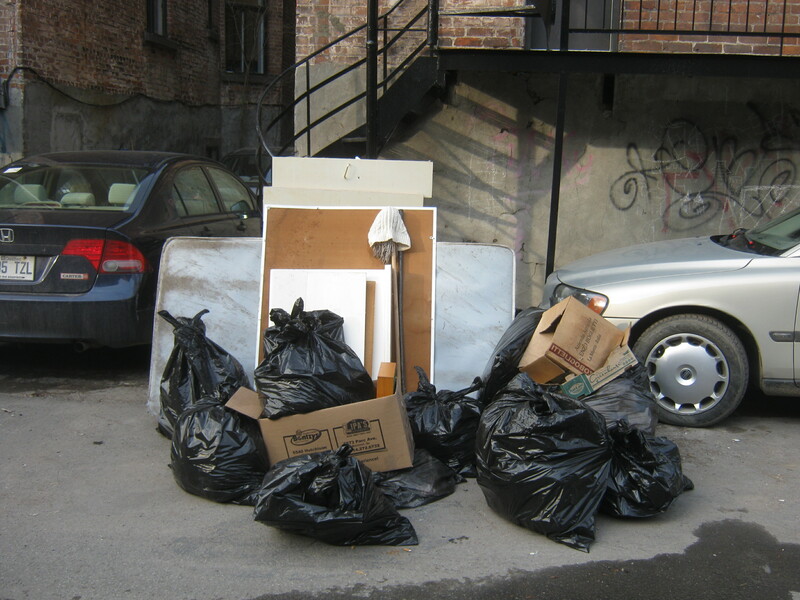 I do lots of garbage hunting as well and maybe there is something you are looking for? i love the sparkly earrings- i would buy a few from you if you’d like! You can come by to see them if you’d like – email me at thingsifindinthegarbage@gmail.com and maybe we can arrange something! I love love love the green dangling earrings in that first picture….I would love to buy them from you…however i am in Oregon. They remind me of a pair of earrings I have that were my grandmothers..i don’t wear them because i am afraid I will lose them. Hi, we may be able to arrange something, especially if you used Etsy. Send me an email at thingsifindinthegarbage@gmail.com to discuss! Interesting openwork ring on the far right of the rings pic. Oh, I am so jealous. In Queensland Australia we only have wheelie bins for garbage and everything gets shoved in them. Too much yuck to sort through.